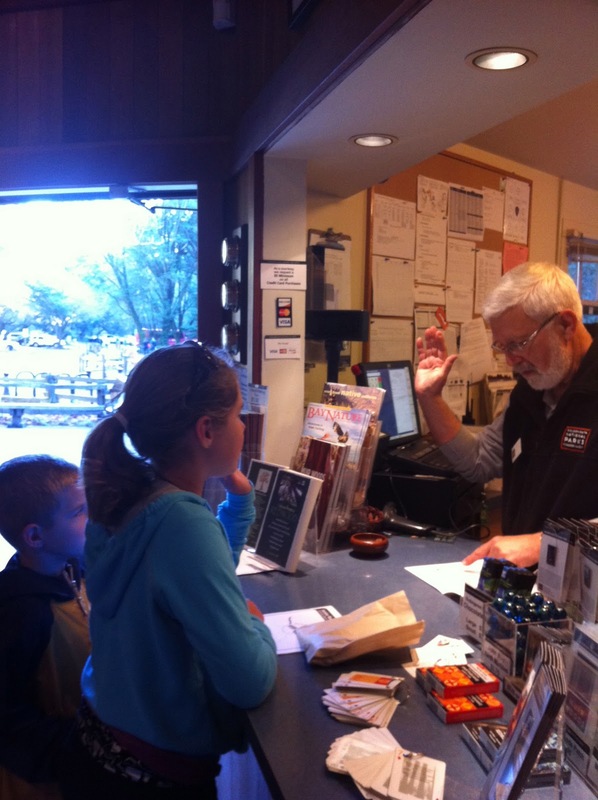 Are you aware of the Junior Ranger program? I was vaguely aware that it existed until our recent trip to California. 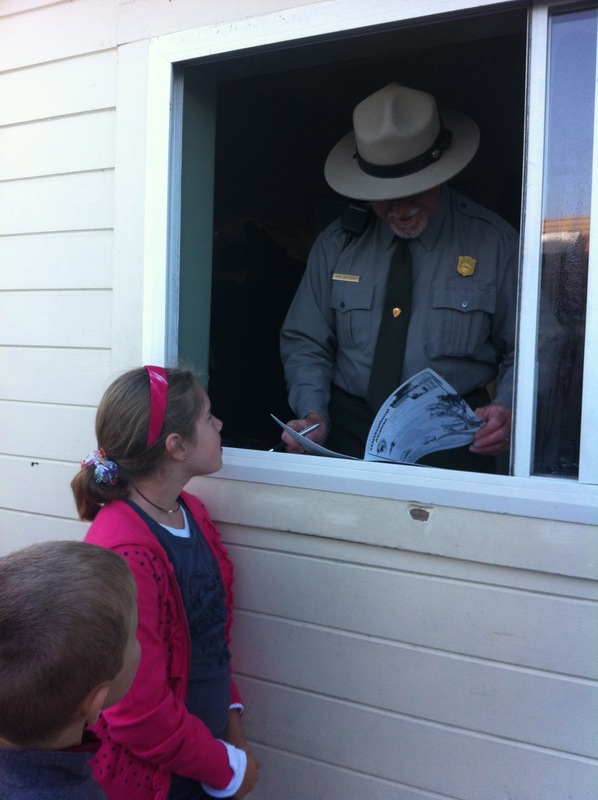 When the park ranger at Alcatraz offered for children ages 7-13 to come and see him, we gladly accepted. What followed is probably the best learning experience my children have ever had. We had been studying John Muir before we left for California. He is considered to be the father of our National Parks system. Sitting in the national park that bears his name was awe inspiring. I tried to imagine John Muir walking among the Redwoods and what a GIFT he has given all Americans through his conservation and protection efforts. Quite simply, the Junior Ranger program offers your children the chance to explore the national park they are in at their own pace. They are given a booklet and some instructions from a ranger and then go at their leisure to discover the wonders of that park. 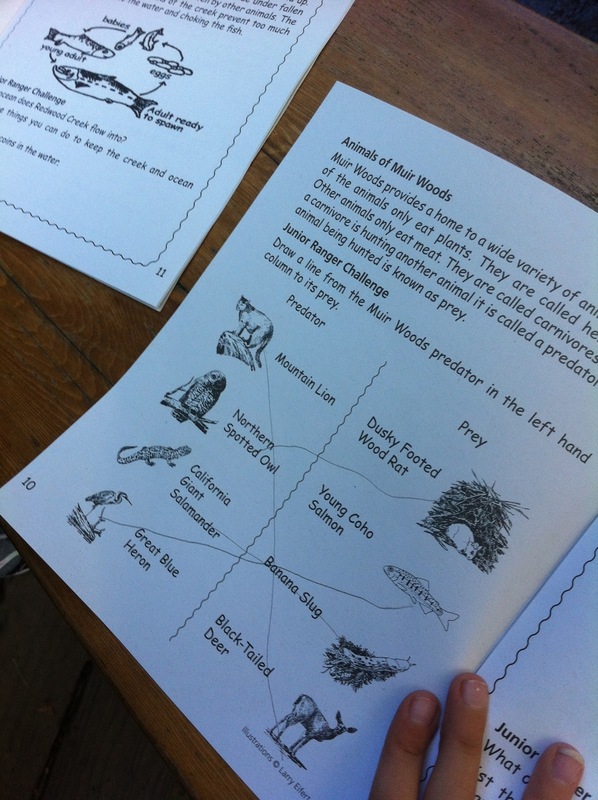 After their booklet has been completed, it is checked by a ranger and the children are given a badge. Simple, and very effective! I, (fill in name), am proud to be a National Park Service Junior Ranger. I promise to appreciate, respect, and protect all national parks. I also promise to continue learning about the landscape, plants, animals and history of these special places. I will share what I learn with my friends and family. 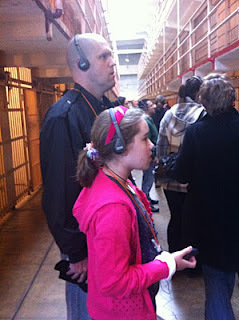 At Alcatraz Island we were all given an audio tour of the prison. As we walked around the island (it is also a bird sanctuary and has unique trees and flowers) the children were filling in their booklets. The booklets gave them a map and clues. They went on a tree scavenger hunt, hunted for items in one of the cells, and learned about the lighthouse on the island. My kids loved it! When they finished, we visited the ranger station and they had a nice interaction with the ranger and received their badge. I kept their booklets. 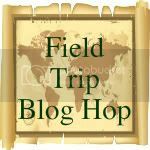 They will get put in their box of activities from this homeschool year. 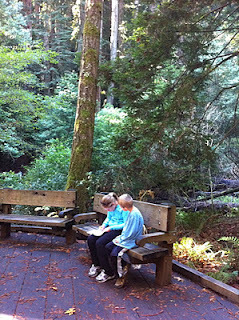 At the Muir Woods National Park we visited the famous Redwoods. You have NO IDEA how big these trees are until you are among them. We looked up and couldn't even see the tops of the trees. 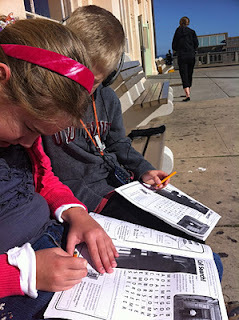 I love the picture of my children sitting, working together on their booklets. 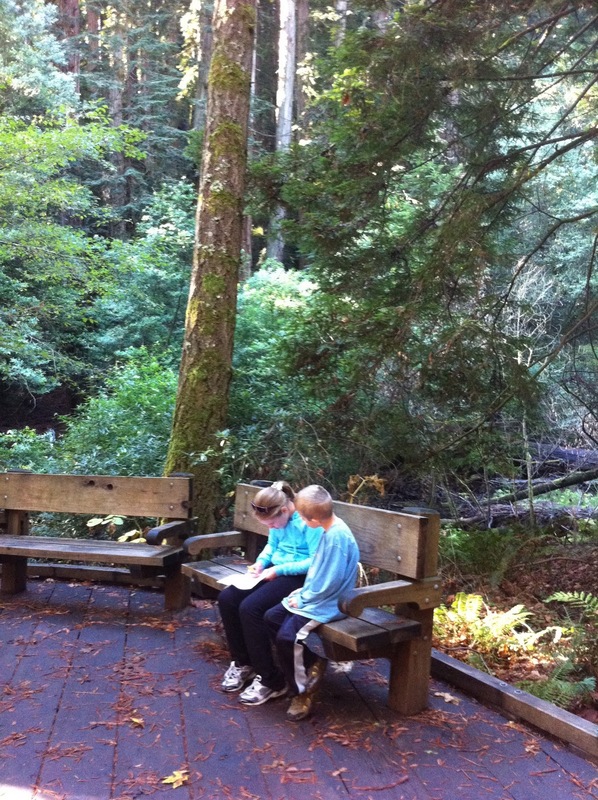 They learned ways Redwoods reproduce, telling the age of a tree, different types of wildlife in the park, about the life of John Muir, and so much more. At the end of this day the children took an oath from the ranger and received their badges (which were made of recycled Redwoods - how cool is that??). 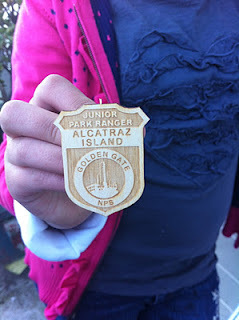 If you visit the National Parks website you can find out ALL about the Junior Ranger program, and which parks have the program. There are also several activities for your children through the site that are very educational. As we plan more trips I will check out the National Parks in the area and if they have Junior Ranger programs. Sometimes we hear so much complaining about our government.... this, however, is one SPECTACULAR program our government maintains and homeschoolers especially should take full advantage of the many resources. 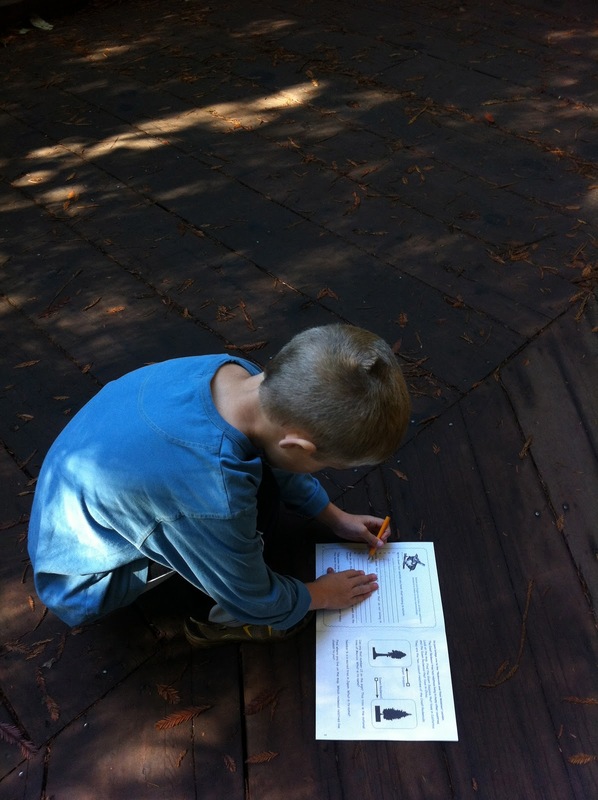 Have your children taken part in the Junior Ranger program? What did you think?